Did you ask Santa to bring some big, bulky items this season? Or, are you tired of getting charged big shipping fees (calculated on retail price) for small, but relatively expensive items such as rangefinders and scopes? If so, Midsouth Shooters Supply has a new promotion that should make you happy. Midsouth is offering $5.99 FLAT-RATE Shipping for all orders of $100 or more placed before December 31, 2007. This is for ground shipping in the Continental USA. There are some exceptions. First, this does NOT include Hazmat charges. Second, the flat $5.99 fee only applies to orders UNDER 50 pounds. So you can’t order 1000 pounds of casting lead and have it shipped to Montana for $5.99. Still, this is a fair and attractive offer from Midsouth. The 50-lb limit will cover a lot of gear. We’ve personally seen other vendors set shipping charges of $14.50 on inexpensive, lightweight items, after the vendor has tossed on “handling fees”, “fuel surcharges”, and “single-item supplements”. CLICK HERE for more details, or call Midsouth at (800) 272-3000. The Flat Rate Shipping deal commences 11/30/2007. Use Promotion Code “FLATSHIP” when you order. Share the post "Flat Rate Shipping at Midsouth"
In July 2007, eBay announced a policy banning the listing and sales of “any firearm part that is required for the firing of a gun”. This wholesale ban created an immediate vacuum in the auction market for bullets, barrels, slides, magazines and other firearm components. There’s now a new auction site that hopes to replace eBay for sellers and buyers of gun parts and reloading components. ReloadersAuction.com launched in August 2007, just a few weeks after eBay announced its anti-gun policy. The creators of the new site, who are avid reloaders themselves, explain: “We started this auction site because eBay has stopped the sale of most all reloading supplies, gun parts, and most knives. We wanted to always have a place to buy reloading and hunting supplies at a great deal….” The site combines an eBay-style auction experience with enhanced features including “Want to Buy” ads and barter (“Swap”) offerings. Because ReloadersAuction.com is so new, there were only 400 or so active auctions as of November 30th. But that should change quickly. There are some very nice navigation features which make the site easy to use. Right on the front page, “Ending Soon” and “Most Popular” auctions are listed in convenient table style format, so you can scan dozens of auctions in one glance. The “Most Viewed Items” also appear on the home page, highlighting good deals that you might not find via a word search. We wish ReloadersAuction.com well. It is based in North Carolina, an area where gun rights are respected, and where there is a strong tradition of hunting and shooting sports. So, next time you need bullets, brass, or reloading accessories, check out this new site. There are some good deals to be had. Share the post "New Auction Website for Reloaders"
When it comes to creating the perfect, streamlined bullet form, solid projectiles represent the ultimate in bullet construction. Made of solid metals such as bronze and copper-nickel alloys, these bullets are lathe-turned for perfect uniformity, and the highest possible Ballistic Coefficient. 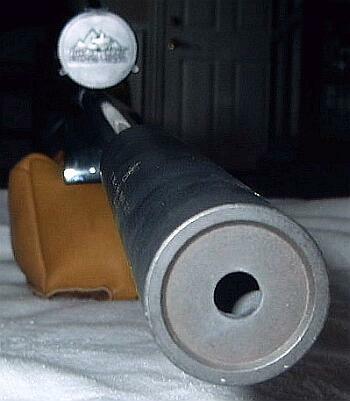 Lost River Ballistic Technologies was one of the pioneers of solid, lathe-turned projectiles in the USA. The original .408 Chey-Tac ammunition used bullets produced by Lost River on Swiss-type CNC lathes from solid bars of proprietary copper nickel alloy. Lost River’s bullets are hard to find today, but reader DesertLefty recently offered some for sale in our Forum Classifieds. We just thought you’d like to get a look at these slippery beauties. Shown below, for comparison purposes, are 6mm and 6.5mm Lost River projectiles, along with two conventional bullets. From left to right: 6.5mm 139 gr Lapua Scenar, 6.5mm 132 gr Lost River J40, 6mm 100 gr Lost River J40, and 6mm 115 gr DTAC. If you are intrigued by the ballistic performance of lathe-turned solids, check out the website of Germany’s Lutz Möller. Lutz has produced a series of ultra-high BC bullets, both solids and conventionally jacketed projectiles. His 105-LM bullet for the .338 Lapua won the 2005 Lapua Sniper Cup. The circular driving bands you see are a distinctive feature of Möller’s bullets. The bands reduce drag in ultra-long bullets by effectively reducing the bearing surface in contact with the rifling. This 105-LM bullet has an amazing BC of 0.93. Lutz also has a .408 Chey-Tac bullet with a 0.95 calculated BC! LM-105 photos © copyright Lutz Möller, All Rights Reserved. Share the post "The Beauty of Solid Bullets"
In the USA, Thanksgiving is one of our most cherished holidays, a time families re-unite and spend “quality time” together. Increasingly, in our society, families are spread apart, with parents separated from children by thousands of miles. We hope that today, you have a chance to be with your loved ones. For our many overseas readers, you can celebrate Thanksgiving in spirit. Here at AccurateShooter.com, we have our own “family” of sorts–a community of sportsmen and women linked by a love of fine firearms and extreme accuracy. 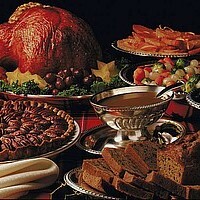 To all our readers (we have more than 40,000 “unique” site visitors every month), we wish you a Happy Thanksgiving, and we hope that, on this day, you can be with your family. For those who are traveling, we wish you a safe trip and godspeed. Share the post "Happy Thanksgiving to Our Readers"
A joint effort of the Nat’l Shooting Sports Foundation (NSSF), U.S. Sportsmen’s Alliance (USSA), and National Wild Turkey Federation (NWTF), the “Families Afield” program works to expand the opportunities for young hunters with adult mentors. The goal of the program is to increase the number of young people getting involved in hunting. For every 100 adult hunters today, only 69 youth hunters are coming up to take their place. “Families Afield” works to reverse that trend. Thanks to the work of many dedicated groups and individuals concerned about the future of hunting, several states that were restrictive to youth hunting have signed into law “Families Afield” legislation. These new laws make it possible for young hunters and their families to enjoy hunting traditions together. CLICK HERE to learn more. Share the post "Families Afield Program Expands Opportunities for Young Hunters"